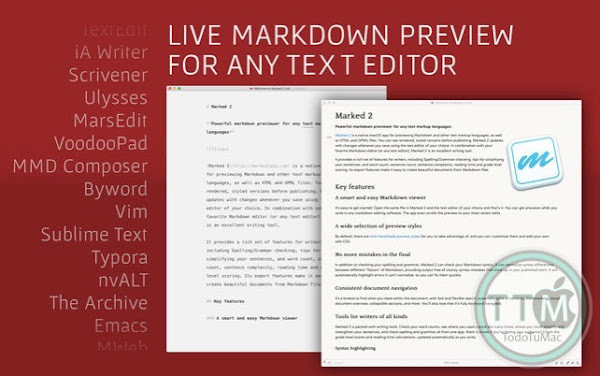 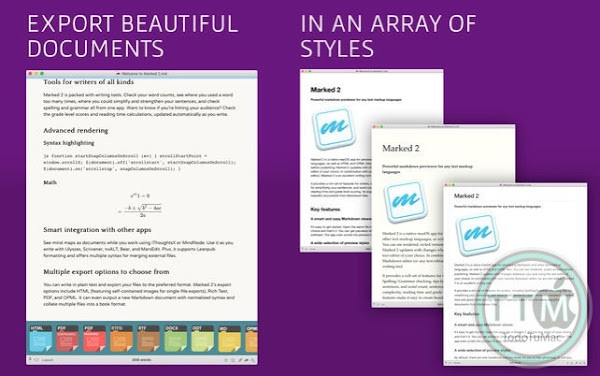 Marked is a previewer for Markdown files. 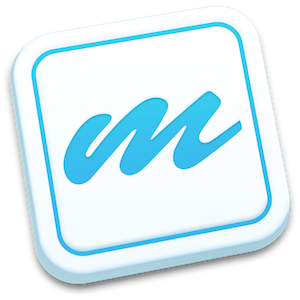 Use it with your favorite text editor and it updates every time you save. 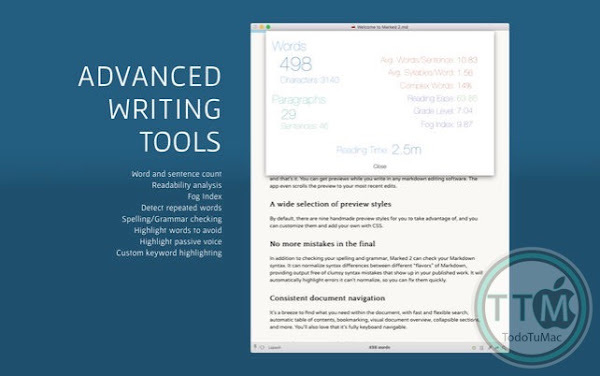 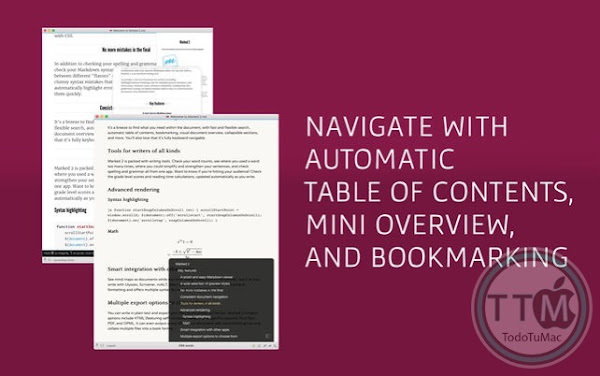 With robust features for previewing, reviewing and exporting beautiful documents, you can work in plain text while reveling in rich formatting. 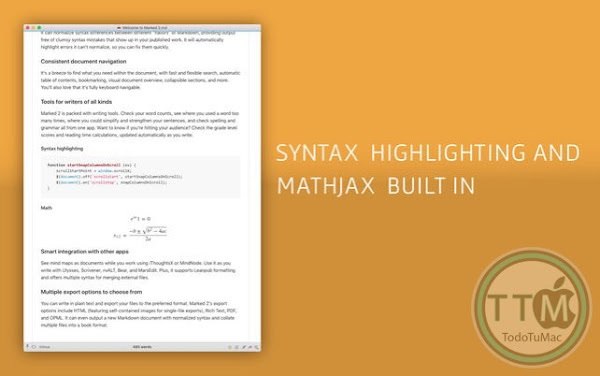 • When a per-document custom processor is specified using the JSON array formatting, determine if the default processor is a shell and include the first argument (usually the script) as first arg in the per-document arguments.